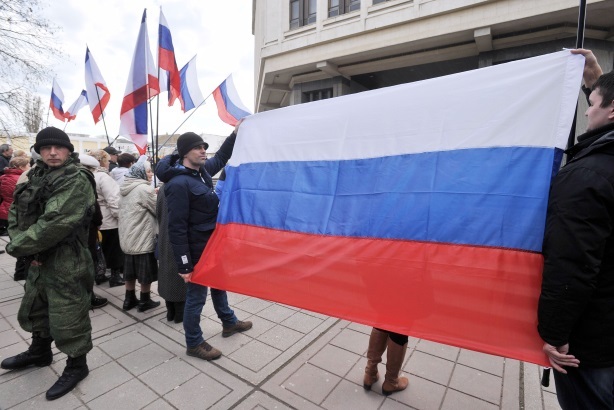 Russia may have angered the western world by its actions in Crimea in the past week, but PR agencies are largely sticking it out in Ukraine despite the tension between the two countries. With the situation strained right now between Russia and Ukraine, PR agencies with branches in the region and sponsors of the upcoming Paralympic Winter Games in Sochi say they are operating as closely to normal as possible. Peter Necarsulmer, executive chairman and cofounder of PBN Hill+Knowlton Strategies, says the office in the Ukrainian capital of Kiev is "pretty much business as normal since the weekend." That's when Russian president Vladimir Putin sent troops to Ukraine's Crimean region to intervene in the country's political turmoil. The move further stressed Russia's relationship with the US and other western countries. PBN H+K, which specializes in communications in Russia, Ukraine, Kazakhstan, and other nations in the Commonwealth of Independent States, was created in 2012 when Russian firm PBN merged with the WPP Group agency. Necarsulmer adds that the agency had to close its office for several days during "the height of the protests, demonstrations, and violence in Kiev," which began last fall when Ukrainian President Viktor Yanukovych tightened the country's political bond with Russia. Riots worsened in recent months, leaving dozens of people dead. At the end of last month, Yanukovych fled Kiev for Kharkiv, a pro-Russian stronghold near the border between the two countries. Despite the fact that PBN H+K's Moscow office is operating regularly, Necarsulmer says he is spending a good part of each day speaking to clients about the crisis and talking through their concerns. Some are worried about obtaining visas for employees based abroad to get into Russia and about how to move Russian employees to other offices because "it's important to get people where you need them," he says. However, clients are most concerned about the US and European Union potentially drawing up sanctions against Russia, which could affect their ability to do business, Necarsulmer adds. Earlier on Thursday, President Barack Obama placed visa restrictions and other constraints on Russians believed to be a part of military action in Ukraine. "We can say the relations between the US and Russia are already at a stage worse than it has been since the Cold War," Necarsulmer adds. "People like to say business and politics fall into two different channels, but in fact we know that's never fully the case." FleishmanHillard, which opened its Ukraine office through a joint venture with Vanguard PR last November, is temporarily keeping staffers out of the office in Kiev as a precautionary measure. However, it is operating electronically and through its Moscow office, says John Saunders, regional president of EMEA at the agency. The firm's Kiev office, which shares a space with another business, is "still in a fledgling state," he explains, adding that a number of Ukrainian nationals are working in FleishmanHillard Vanguard's Moscow office to serve clients. Fellow Omnicom Group agency Ketchum is operating normally in both Ukraine and Russia. However, the firm said in a statement on Thursday that it is not advising the country on any foreign policy matters, only supporting economic development and investment. It is also supporting the Russian leadership with its relationships with western media. Irina Zolotarevych, general PR director of Pleon Talan, Ketchum's PR agency unit in Ukraine, posted a message on Facebook on Wednesday taking on media reports she called "unbalanced and a threat to the reputation of Pleon Talan. The reports implied that Ketchum is "responsible for the anti-Ukrainian propaganda in the foreign media," according to the Facebook post. The post also says that the article did not have verified facts or an official response from Ketchum, and it could cause readers to believe Pleon Talan is involved in government issues. Pleon Talan is "never involved in any anti-Ukrainian actions or project either in Ukraine or abroad," and "did not initiate nor embody any project that supports Russian aggression against Ukraine or vice versa," it says. Edelman, which has an affiliate in Kiev, is closely watching the situation in Russia and Ukraine, but it is operating on a standard basis in Moscow, explains Kerry Irwin, general director for Russia and the CIS at Edelman Russia BV. She adds that she has not been directly in contact with the firm's Ukrainian affiliate, Noblet Media CIS, but most businesses are up and running in Kiev as far as she knows. While people in the region are talking about visa bans, pulling back assets, and the possibility of Russia going to war with Ukraine, Irwin says Edelman staffers are assessing the situation on a day-to-day basis and monitoring the issues. "I've been in Russia for a long time, and you never know what to expect from one day to another," she explains. "There are lots of changes here, so we have to wait and see where it ends up and really just hope for the best, that it doesn't escalate, and it can be resolved quickly and peacefully." In the midst of the Russia-Ukraine crisis, the Paralympic Winter Games are set to begin on Friday in Sochi. Yet despite the unrest, Irwin says brand sponsors and partners should focus on the sports and achievements of athletes, rather than political issues. Edelman's Matter team, which specializes in entertainment marketing, is the global PR agency for Dow Chemical's Olympic operations, and Irwin says the company has a crisis plan in place for the upcoming games. George Hamilton, Dow VP of Olympic operations, says the company knows preparation is key for all major events. "The Dow Olympic Operations team works very closely with Dow's crisis communication team, led by Scot Wheeler, and our global security team to constantly monitor the situation and roll out plans for any issues during the games," he adds, via email. Dow is sending four staffers to Sochi for the Paralympic Games, and it will continue to promote the message of the company's contributions as the official chemical company of the Olympics and official carbon partner of the Sochi 2014 Organizing Committee, Hamilton adds. Irwin says she would not recommend that any brand pull out of its Paralympic Games involvement because the events are not about the county or its government, but supporting the athletes. Similarly, Necarsulmer says brands and consumers should still attend the games because there is "absolutely no security threat to visitors in Russia" and the "whole atmosphere in Sochi is very positive." He adds that he would advise brands involved with the games and companies operating in Russia in general to "continue to do what you're doing in terms of employing, investing, marketing, and communicating." "Russians have incredibly long memories, and those who cut and run or involve themselves in politics do themselves no favors," Necarsulmer explains. Paralympic partner Procter & Gamble says it will still send representatives to Sochi. The CPG giant is focusing its Paralympic Games efforts on supporting the athletes and their families, says Paul Fox, corporate communications director at P&G, via email. "We will help to tell their inspiring stories through our Raising an Olympian film series, as well as our new short film, Tough Love, made specifically for the Paralympics," he says, in the statement. Paralympic partners Visa, Panasonic, McDonald's, General Electric, Atos, and Samsung did not respond to inquiries seeking comment.